FREE Furnace Cleaning – With the purchase of any air duct cleaning service. 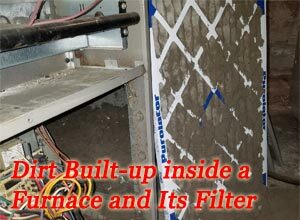 Furnace Tune-Up – $159. Keep your furnace running safely and smoothly. Regardless of the age of your furnace, it is essential to have it regularly cleaned and inspected to maximize efficiency and ensure safety. An annual cleaning and tune-up can save you money on your heating bill and protect you from deadly carbon monoxide poisoning. It is also the best way to ensure that you don’t suddenly lose heat on the coldest day of the year. Our Minnesota locally owned duct cleaning company offers the following maintenance services. Basic Furnace Cleaning Only – Special FREE! with a Duct Cleaning. 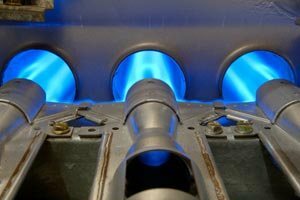 Regular $99.00 – We will inspect and clean the individual burners, the flame sensor, igniter, blower motor, and wheel assembly. We will also inspect the filter. The cleaning process involves the removal of debris or detritus from the surface and interior of the furnace, but does not include the full mechanical safety inspection or problem diagnosis. Furnace Chimney Cleaning – Special $69.95 with a Duct Cleaning. Regular Price $109.00 – Your chimney will be brushed and cleaned much the same way as a fireplace chimney, using steel brushes to sweep the interior of the walls, removing all debris and vacuuming with a truck-mounted air wand vacuum. We then clean the drip tee and the vent connectors that connect your furnace and water heater to the main sack. This service should be performed as needed, depending on the age of the chimney and the type of fuel used. Your forced-air gas furnace is an important part of your home comfort system in the Twin Cities, Minnesota. Proper cleaning and inspection is your best assurance of long life and economical operation and to avoid the loss of heat during the cold Minnesota winters. Our technicians have the training and equipment needed to do the job properly at the same time they clean your ducts. We serve the entire metro area, from Edina, Hopkins, St. Louis Park and Minnetonka to Woodbury, Maplewood, White Bear Lake and Cottage Grove, and from Champlin, Brooklyn Park, Anoka and Fridley to Apple Valley, Lakeville, Bloomington and Eden Prairie. Contact us soon to schedule your cleaning services.